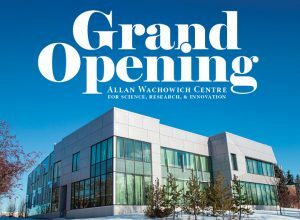 We are thrilled to announce the official Grand Opening of CUE’s newest addition to campus, the Allan Wachowich Centre for Science, Research, and Innovation. Come and celebrate with us on Friday, May 10, 2019 at 2:00 pm. The formal program will begin at 2:30 pm with a ribbon cutting and naming of the Centre for Innovation and Applied Research (CIAR). Tours and reception will follow. 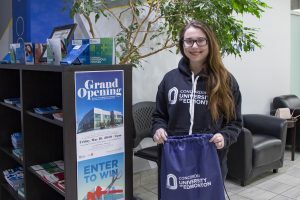 Thanks to all students who entered the “Be the One!” contest. 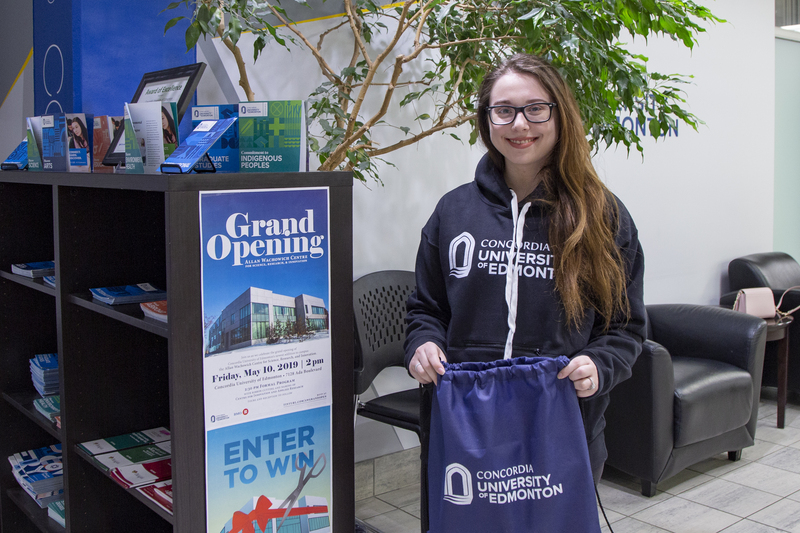 Our lucky winner, Julia De Benedetto, will Be the One to cut the ribbon at the grand opening of the Allan Wachowich Centre for Science, Research, and Innovation on May 10. Please join us at the Grand Opening and cheer her on!